Trump's Ascendancy: How did it happen? Never in the US history, and perhaps in the modern history of any developed nation, a candidate was elected to the top political office in a circumstance like the one in which Donald Trump got elected. It was utterly negative, acrimonious and ugly. Hillary Clinton received about 200,000 more popular votes than Trump. Yet, Trump is the winner due to the weird and archaic electoral college system. Trump also got less popular votes than either John McCain or Mitt Romney but he still won because a big number of voters, particularly democratic supporters, didn't turn up because of their distaste for the candidates. There was something more than just race and gender in this American election. White women voted 53 per cent for Trump and 43 per cent for Hillary. Also, 8 per cent of Blacks and 29 per cent of Latinos voted for Trump. In both these cases the percentages of vote are marginally more than what Mitt Romney - the gentleman republican - won in 2012. The democratic blue wall in the north east and mid west crumbled. Unbelievably Pennsylvania, Wisconsin and Michigan went to Trump. The House of Representative and Senate also went to the republican way. A closer look in the political trends of the western world in the post-2008 global economic crisis reveals certain interest patterns. And then within these patterns there are country specific variations. Joseph Stieglitz once showed that globalisation has brought benefits for wealthy investors almost across the world and for the middle class of the developing world. But not much to the working class of the developed world; rather they actually lost out significantly in manufacturing and some service sector jobs. The vast middle class became increasingly angry and impatient. Moreover, politicians, especially from the center left failed to address their concerns as they have done in the past. This explains the strategic part of the unpopularity of socialist French president Francois Hollande, electoral failures of UK’s left leaning Labour opposition leader Jeremy Corbyn and now the failure of Hillary Clinton. Hillary’s case though was a bit more complex than this. She wanted to ride a ‘first ever female president' juggernaut , which wasn’t quite there in reality. It perhaps existed only in the perception of the liberals. The folks in the US who supported Hillary ahead of Bernie just because of her gender should have learned their lesson from the failure of French politician Segoline Royale who lost the presidential election to Nicolas Sarkozy about a decade back. Too much discussion on mobilising African-American and Latinos openly by pro-Hillary liberal media seem to have created a majority white backlash particularly among the less educated blue collar ones. Moreover, not much mobilisation took place among the black voters who are generally disinterested in electoral politics. Florida is a case in point. Barack Obama’s candidacy in last two elections had an extraordinary emotional value to the black community and they went out in drove to vote for him. Hillary, on the other hand, was like any other democratic candidate who generally enjoyed black support but didn’t energise them enough to come out en masse for her. Hillary, on the other hand, was like any other democratic candidate who generally enjoyed black support but didn’t energise them enough to come out en masse for her. Also, there was this sense of dislike of Hillary among the electorate like Trump. And instead of choosing between two bad candidates a huge percentage of voters decided to stay home on the election day. The African American and Latino/ Hispanic were no exception. Overall voter’s turnout percentage was way lesser this time than the recent past elections. Tactically, the decision of Hillary Clinton’s campaign to stick to the Obama coalition formula i.e. targeting liberals, minorities and women was wrong. Former president Bill Clinton rightly advised the campaign to divert enough effort to address the concerns of the angry working class white voters of the key battle ground and some blue wall states . But the campaign didn’t pay heed to his thoughtful advice and went on to capitalise on Trump’s flaws. They failed to assess the gravity of the reverse current fueled by economic discontents. Hillary was perceived as the establishment's favoured status quo candidate who won’t change anything for the working class. Trump’s smear campaign and WikiLeak’s revelations about her ties with the corporate world deepened the suspicion of the middle-class people who yearned for rapid economic changes despite gradual recovery under popular and outgoing Obama. Hillary’s campaign failed to counter the perception of her as a shrewd status quo career politician of three decade marred with alleged corruptions, irregularities and controversies. Bernie connected with the economically aggrieved blue collar Americans in a constructive way, Trump in a negative fear mongering way. Hillary failed to connect to them in any trustworthy way. Trump actually had worse controversies and disqualifications and there is hardly any guarantee that he would actually be able to do anything for the American working class in this inescapable economic reality of the globalised word. But his raw communication and newcomer to politics impression have resonated well with the crucial working class Americans of the swing states who saw their jobs flew to Asia and Latin America and economic well being vanished. Trump’s anti-immigration card also fitted well in America First campaign scheme. Bernie connected with the economically aggrieved blue collar Americans in a constructive way, Trump in a negative fear mongering way. Hillary failed to connect to them in any trustworthy way. The world has coped with Saudi Wahhabi kings, Zionist of Israel, Ayatollahs of Iran , brutal communist tyrants , genocidal African leaders, Islamist military dictators of Pakistan and Hindutva administration of India and so on. We will probably fund a way to cohabit with Trump’s America. Adaptability is a great survival trait after all. Moreover American system still have enough checks to limit the vicious instinct of Trump. It would be be interesting to watch whether he actually comes of age after this divisive election win, becomes more responsible and do something constructive to the USA and the rest of the world. 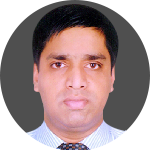 Sarwar Jahan Chowdhury is Head of Operations at BRAC Institute of Governance and Development, Bangladesh.